One of the most exciting rappers on the Christian music scene is Reflection Music Group’s Canon. Fresh from releasing his debut album Mad Haven just last year, he now drops a brand new EP: Loose Canon Vol. 2. On it, the Chicago native talks about his faith and his love for music over strong beats and tight sounds from an array of producers including RayRock and Eighty7. The EP also features a huge number of guests – Derek Minor, SocialClub, and B. Cooper to name a few. Canon is one of the fastest rappers on the scene today – his flow and timing is remarkable – at points I found myself wishing that he’d slow down a little so I can keep up with what he was saying. No doubt listening to this EP on repeat will bring out the gold as the words connect and sink in. Motivation (feat. Social Club) is a self-produced track with massive bass fit for a drive around town with car speakers cranked. The way I understand the message, it appears to be about what we live for, what motivates us. It questions what our motives are – women, wealth, or is it Jesus? Lead single Trippen encourages us to go crazy (loco) as we enjoy freedom as believers. Canon clearly wants to have fun on this track, and reassures us that we should all lighten up and have a good time too. The autotune is cranked (to good effect) on the hook of Point of View (feat. Tragic Hero, Adia). There’s a really nice bouncy, pop sound to this track and Adia’s sweet vocals fit perfectly. The song pleads that people get to know others before making judgements, rather than dismissing people for their tatts or baggy jeans: ‘You think you know me but you really don’t want to know who I am’. Common Sense (feat. B. Cooper, Mau Nu’u) is the first slower track on the EP and serves as a bit of a breather. That said though, Canon’s rapid signature flow still features strongly. B. Cooper’s verse is all about living for Christ rather than the dreams of this world. I’m thankful that this song reminds us of a greater reality. Put Me On (feat. Reconcile, Derek Minor) is truly wild with tight rhymes over a menacing beat. There are nine tracks in total on Loose Canon Vol. 2 (almost an album really!) but the final two songs are considered bonus tracks. The first of these, Reach Into the Night (feat. TJ Pompeo, Shonlock) is one of the best songs on the whole record. Produced by Canon himself, this is a smooth, electronic jam with a dubstep edge that turns into a real dance track. The beat changes a number of times, and it tells the good news of the gospel. ‘He made us from the dirt and clay, then came the Son, made us a brighter day’. The final track is an extended version of the aforementioned Motivation. All-in-all this is a very strong record – particularly in production, and considering it releases only a year after Canon’s Mad Haven, it’s clear that Canon has a lot he wants to say. His rhymes fly thick and fast as his identity in Christ is proclaimed throughout the whole party. Be sure to get this one. I’m giving Loose Canon Vol. 2 three-and-three-quarters out of five. Loose Canon Vol. 2 by Canon will be released Tuesday, 7th October. Pre-order it now on iTunes. Read our interview with Canon about the record here. 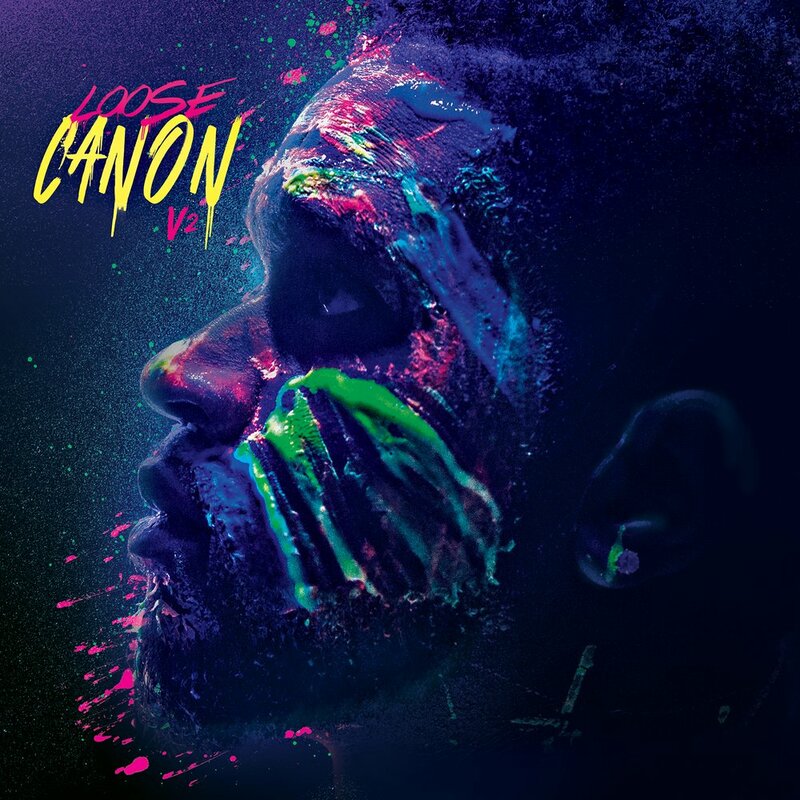 Posted in MusicTagged Album Review, Canon, christian, EP, Loose Canon Vol. 2Bookmark the permalink.